There is little to not recommend. Its quite staggering how many bands never even got off the ground in the late 70's and 80's due to record company problems, and it seems Mass can be included in that list. 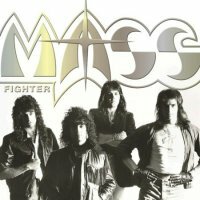 Problems with A&M records in the early 80's all but stopped the band in their tracks despite selling 10,000 units of their 4 song EP in the Boston area alone! What we have here is a collection of songs gathered together under the title of 'Fighter' put together by Christian record label Retroactive Records. 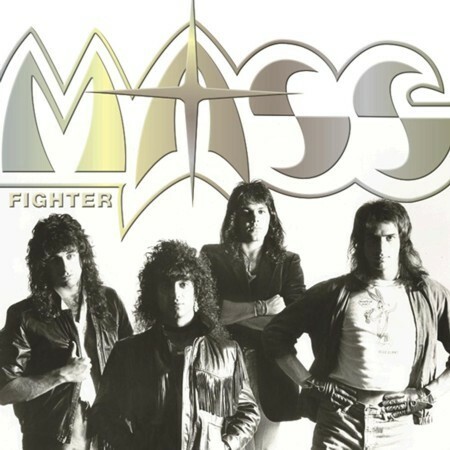 Now don't let the Christian side of it sway your opinion, though there are certainly influences from Stryper, but also the likes of Iron Maiden and Angel! Having Judas Priest's Tom Allom handling production duties gives the guitar sound a crystal cutting edge that tears out the speakers and helps this release rise above the average. 'Watch Her Walk' has all the youthful energy of so many of the bands from the N.W.O.B.H.M as the song begins with a vocal countdown and a little more polish, no doubt thanks to the production. Plenty of reverb serves the likes of 'Part Of Me' well and Louis St. August's vocals are both powerful yet distinctive, special mention must go to the stratospheric guitar work from Gene D'ltria as well. If you could imagine if Iron Maiden were a US band and Frank Dimino of Angel was their vocalist, then you get an idea of the song structure! You have to take into consideration that this is a compilation of a number of tracks recorded over a period of years, and therefore the musical ideas stray over different territories. None more so than on the ultra pomp of 'Do You Love Me', a song that sounds like an outtake from Angel's 'On Earth as it is in Heaven'. Truly the vocals of Louis St August are a highlight of so many songs and his vocal range lifts even the most average of songs up a notch. The epic 'Too Far Gone' has some wonderful vocal/guitar interplay and the song just builds to a glorious rock n roll climax of vocal echoes and rock n roll chants. The influence of Judas Priest and latter day Black Sabbath is quite evident on the title track in the guitar style. The vocals soar above the song and it's a mystery how singer Louis St August's star-studded vocals did not propel this guy to at least cult stardom? The influence of Angel and Stryper surfaces again with the ballad 'Can You See it Again' and its truly a glorious moment of lush vocals, hook laden keyboards and acoustic guitar work……simply wonderful. There is little to not recommend folks and if you're thinking of taking a chance on a review, then it should be this one.